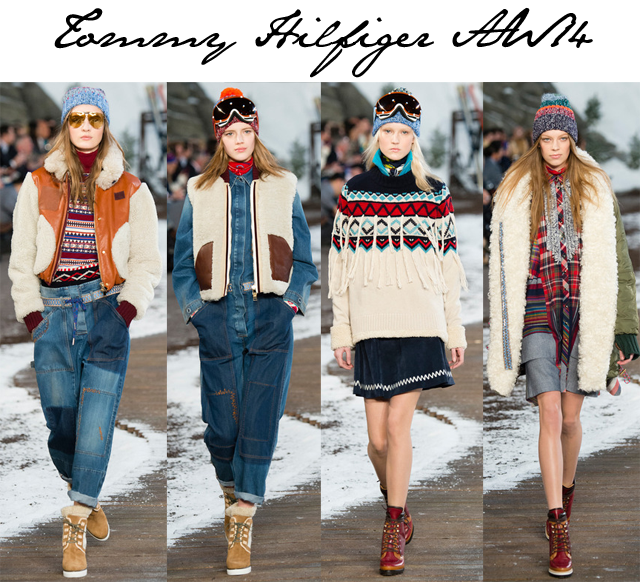 Tommy Hilfiger is providing the look book for the next Sundance festival with his autumn winter 2014 collection. Don't you think? The words "grungy alpine preppy chic" kept coming into play as look after look made its way down the snow lined boardwalk with an Alpine village set up as a backdrop for the collection.